Musynx has been a notable rhythm game release on mobile devices over the past two years, featuring over 100,000 downloads on the Android market alone. 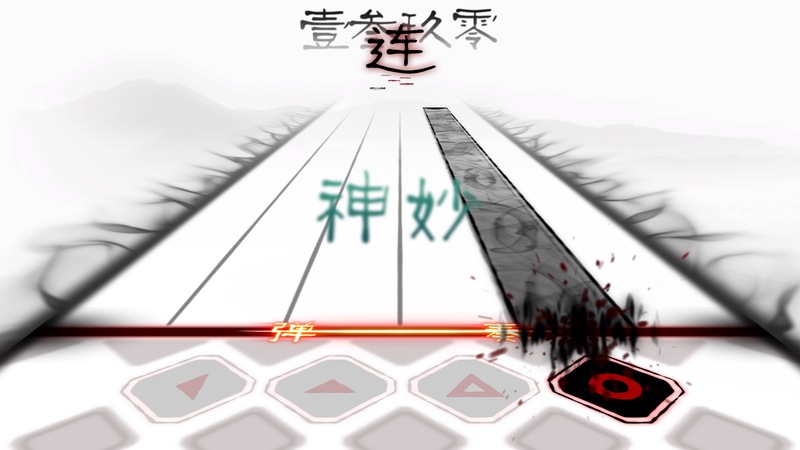 This touch-screen driven rhythm game had players tap along to Chinese tunes but some players might have preferred to play something more tactile. Now, Musynx has arrived on consoles in North America, from both the PlayStation 4 and PlayStation Vita as well as the Nintendo Switch. How does Musynx stack up as part of PM Studios’ growing commitment to bringing rhythm titles stateside? Musynx’s core gameplay of tapping along to notes that fall down a vertical highway is nothing new for the rhythm genre. It’s a formula that titles along the likes of Rock Band and DJ Max have perfected over the years. Players can opt for either a four or six-key play style with two different difficulty settings, good for easing your way into learning the trickier patterns and note combinations. The shift from a mobile touchscreen to button interface lead to a few concessions, such as removing notes that slide across from one zone of the screen to the next. Instead, the systems have been streamlined to only require tapping or holding a note as it crosses the bottom of the screen. There’s such a diverse mixture of songs that build up Musynx’s ninety-plus tracklist, but they mostly share one unifying theme: Vocaloid musicians. 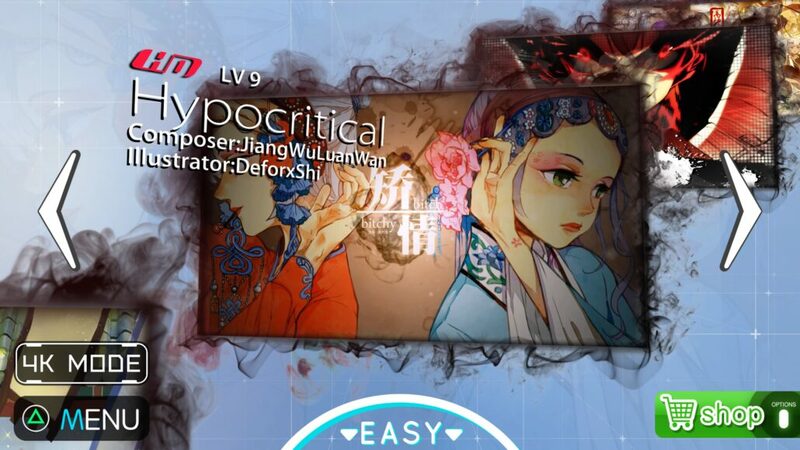 Not just any VOCALOID but a Chinese-based VOCALOID singer known as YANHE, who most Western players might have no familiarity with. Not every song features a vocal accompaniment, but most of the ones that do will have that signature sound of a VOCALOID artist that fans of Hatsune Miku’s Project Diva series will instantly recognize. Backing up the synthetic vocals is a fine mixture of musical genres, from 8-bit anthems to traditional Chinese flute melodies. There’s no glut of public domain classical tracks, thankfully, so you’ll get your money’s worth of songs to tap along with. Musynx is also filled with electronic beats of all manner of genre, which can easily be molded to any rhythm game on the market. These synthetic beats easily stand out in 4/4 time and can be quite easy to tap along to and get into the rhythm. This can be important, as Musynx doesn’t have the same keynote presses that other rhythm games possess. In a Project Diva game, you’d have clapping or other stock sounds to keep track of your timing. Other more complex titles, such as Beatmania or DJ Max, would assign key sounds on the fly, so if you mistimed or flat out missed a note, the song would change accordingly. Musynx goes with the latter option in its songs but only if you choose a certain setting. 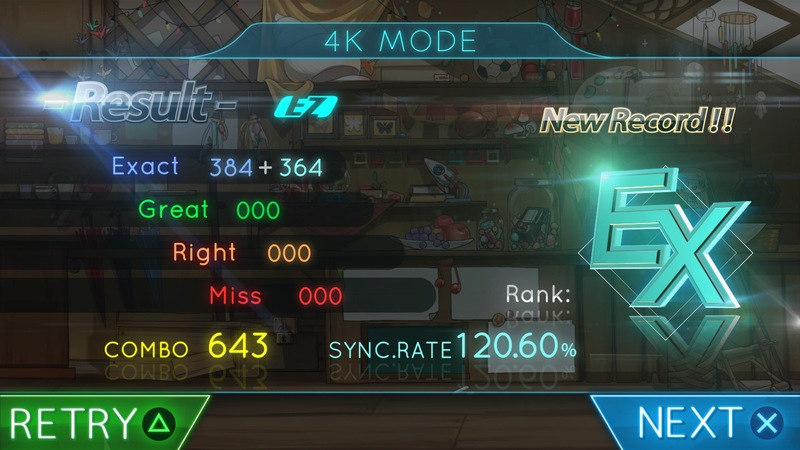 Prior to the start of every song in Musynx, you’re given the option to change how quickly notes scroll (the default is set to 4.0, which might confuse players into thinking it’s scrolling at four-times speed) and something called ‘Sound Enhancer’. This option isn’t the best translation of what it does, but it determines whether a song plays unaltered upon missing a beat. On ‘auto’, there’s no difference to the music but ‘strong’, ‘weak’ and ‘off’ each affect the volume/intensity of a keypress especially if you miss the note completely. Playing on ‘auto’ was my preferred method, as getting off rhythm wouldn’t impact the audio quality of a song but it came with one major caveat: no audio response when hitting a note. Without that audio feedback, even if it was a simple clap, longer streams of notes can be difficult to keep up indefinitely. Much of Musynx’s presentation is barebones and it shows that much of the production time went into the songs themselves and making the note patterns as rich as possible. There are no music videos or PV’s to accompany songs in the background as you play. Instead, you’re playing on half a dozen stages that each have their own scrolling background and skin for the note highway (which are locked to each specific song). The presentation suffers for this, as seeing the same scrolling cloud formations for twenty-some songs can grow old quickly. As soon as you boot Musynx up, it takes you straight into the tracklist with no tutorial or superfluous menus to navigate beforehand. This is a common theme to Musynx that there’s little beyond the music itself to anticipate in this package. If you’re looking for a pure rhythm game that eschew unlockables or paid DLC for a solid package (with free DLC support to come), Musynx fits the bill nicely whether you desire to play on the big screen or something more portable as is the case with the PlayStation Vita or Nintendo Switch. Reviewed on PlayStation 4 Pro (code provided by the publisher). You can purchase the game for the Nintendo Switch via Amazon. If all you're looking for is a pure rhythm game to take on the go, Musynx fits the bill nicely. It's a pure arcade experience without any visual trappings and without the need to spend a few quarters every time you want to play another round of songs.